Shopping for a used car in Bradenton, but want to make sure you choose something that fits comfortably in your budget? 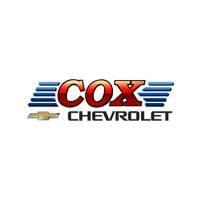 At Cox Chevrolet, we have a selection of used cars under 12k. Regardless of your preferences, you’ll be able to find something that suits your needs at a price you love – even if you don’t drive home in a Chevrolet. We want to make your car-buying process as stress-free as possible, so contact us at your leisure if you need any information. Browse our online inventory of vehicles under 12k, and plan your visit from the Tampa area. Want to make your vehicle more cost-effective? Consider trading in your vehicle. This 2017 Chevrolet Silverado 2500HD LTZ in is well equipped with: Odometer is 29915 miles below market average! Awards: * 2017 KBB.com 10 Most Awarded Brands Included First Year Complimentary Basic Maintenance / Multi-Point Vehicle Inspection / Free Vehicle History Reports / In Business Over 90 years / Call 1-888-844-3454 For Details. This 2019 Chevrolet Suburban LT in Grey is well equipped with: Odometer is 1899 miles below market average! Included First Year Complimentary Basic Maintenance / Multi-Point Vehicle Inspection / Free Vehicle History Reports / In Business Over 90 years / Call 1-888-844-3454 For Details. This 2019 Chevrolet Equinox LT in Black is well equipped with: 26/32 City/Highway MPG Included First Year Complimentary Basic Maintenance / Multi-Point Vehicle Inspection / Free Vehicle History Reports / In Business Over 90 years / Call 1-888-844-3454 For Details. This 2019 Chevrolet Colorado LT in Red is well equipped with: Odometer is 1489 miles below market average! Included First Year Complimentary Basic Maintenance / Multi-Point Vehicle Inspection / Free Vehicle History Reports / In Business Over 90 years / Call 1-888-844-3454 For Details. This 2018 Chevrolet Express 2500 LT in White is well equipped with: Included First Year Complimentary Basic Maintenance / Multi-Point Vehicle Inspection / Free Vehicle History Reports / In Business Over 90 years / Call 1-888-844-3454 For Details. This 2016 Chevrolet Colorado LT in Silver is well equipped with: 18/26 City/Highway MPG Awards: * 2016 KBB.com Best Resale Value Awards * 2016 KBB.com Best Buy Awards Finalist Reviews: * Comfortable ride; capable and fuel-efficient diesel engine; many available high-tech features; maneuverable size. Source: Edmunds Included First Year Complimentary Basic Maintenance / Multi-Point Vehicle Inspection / Free Vehicle History Reports / In Business Over 90 years / Call 1-888-844-3454 For Details. This 2008 Chevrolet Silverado 1500 LT in is well equipped with: Awards: * 2008 KBB.com Brand Image Awards Included First Year Complimentary Basic Maintenance / Multi-Point Vehicle Inspection / Free Vehicle History Reports / In Business Over 90 years / Call 1-888-844-3454 For Details. This 2010 Cadillac SRX Luxury in is well equipped with: Odometer is 11219 miles below market average! Reviews: * If a luxury crossover utility (CUV) is on your wish list, it will be difficult to match or surpass this very satisfying new Cadillac's artful blend of style, utility, car-like comfort, ride, handling and surprisingly fuel-efficient performance (on regular-grade gas). Source: KBB.com Included First Year Complimentary Basic Maintenance / Multi-Point Vehicle Inspection / Free Vehicle History Reports / In Business Over 90 years / Call 1-888-844-3454 For Details. This 2018 Nissan Rogue SV in Blue is well equipped with: 26/33 City/Highway MPG Included First Year Complimentary Basic Maintenance / Multi-Point Vehicle Inspection / Free Vehicle History Reports / In Business Over 90 years / Call 1-888-844-3454 For Details. This 2016 Mazda Mazda6 i Grand Touring in White is well equipped with: Awards: * 2016 KBB.com Best Buy Awards Finalist Reviews: * When function and form are treated as one, engineering is elevated to an art form. The Mazda6 is the product of engineer and designer working in unison, daring to reimagine the automobile as a whole. It is the true definition of the modern sports sedan. The 2.5L SKYACTIV-G gasoline engine pushes the boundaries of innovation even further. Mazda engineers increased its torque output to 185 lb-ft, all without compromising fuel efficiency. Combine it with the ultra-responsive 6-speed SKYACTIV-MT manual or the smooth 6-speed SKYACTIV-Drive Sport automatic transmission and the result: 184 horsepower and an astounding EPA-estimated 38 MPG hwy (Up to 40 MPG hwy with Grand Touring 2.5L with AT and Technology Package). It all begins when you slide into the luxurious driver's sport seat and fire up with the push button start. With Mazda's newly available Commander Switch, you can control the available navigation system, sound system and Bluetooth phone and audio streaming conveniently from the center console. Other available features include leather trimmed upholstery and heated sports seats. The available fully integrated navigation system with a 7-inch touch-screen display features intuitive voice recognition. Crisp, immersive sound is delivered through an available 11-speaker Bose Centerpoint Surround Sound System with AudioPilot ambient noise compensation technology. With the SKYACTIV-Body, SKYACTIV-Chassis and intuitive safety technologies, Mazda6 is built to protect. Safety features include six standard airbags, should the airbags deploy standard E911 notification uses Bluetooth and your paired phone to call 911 automatically. Available Blind Spot Monitoring uses motion-detecting technology to scan your blind spots. Source: The Manufacturer Summary * Smooth and responsive powertrain; quick acceleration; excellent fuel economy; sporty handling; well-built interior with top-quality materials; stylish looks. Source: Edmunds Included First Year Complimentary Basic Maintenance / Multi-Point Vehicle Inspection / Free Vehicle History Reports / In Business Over 90 years / Call 1-888-844-3454 For Details.